It’s back. The Mo everyone knows and loves is once again gracing you with its presence in this annual tradition. There is no need to tell me how good my facial situation looks, but everyone has anyway, every day, multiple times, and in the most curious ways (“I can’t look at you”). It is clear the power of the mustache compels you. That is the point after all. Besides being incredibly awesome, there is a short but purposeful life for this mo. 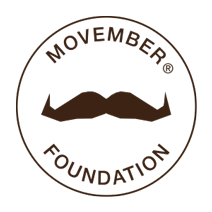 That purpose is to raise awareness and support for men’s health issues through The Movember Foundation. To that I would be remiss if I did not encourage you to explore their knowledge base on men’s health. I am confident that every person reading this blog either is in fact a man or knows a man and is therefore the proper demographic for this information. Fact: The first mustache was created as a portable air filter. Fact: In survival situations a mustache can be used to filter harmful bacteria out of water. Fact: The longest mustache is 14’ long (only 13’-11.75” to go!). Fact: The first two are not actually facts.